A young local trailblazer from Toolooa State High School has taken the trip of a lifetime to meet with the Prime Minister Malcolm Turnbull this week. Merin Ward, 16, of Gladstone was hand-picked to take part in the fourth annual Country to Canberra ‘Power Trip’ to meet the likes of Foreign Minister Julie Bishop, Minister for Women Michaelia Cash and the first-ever female Chair of the National Farmers’ Federation, Fiona Simson. Country to Canberra CEO Hannah Wandel said it was all about empowering young women with the skills and opportunities to help them overcome gender and geographical barriers to success. 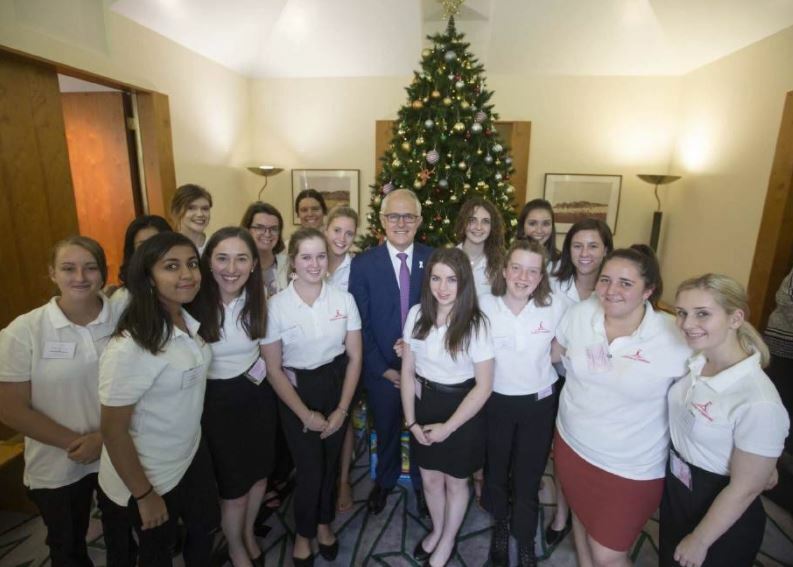 “Merin attended a Powerful Women’s Breakfast at the Hyatt Hotel, had a VIP lunch at Parliament and met privately with the leader of Australia, Prime Minister Malcolm Turnbull to talk equality, education and leadership,” Ms Wandel said. “Fourteen girls came on the Power Trip – hailing from places like Arnhem Land in the NT and Karratha in WA – and are winners of Country to Canberra’s national 2017 Leadership Competition. 16-year-old Merin Ward said the trip was inspiring. “The highlight has been all of the workshops we’ve been to, all of the keynote speakers and learning about their journeys. It’s been really great,” Ms Ward said. The girls also undertook an entire day of leadership training and skill-building at the Australian National University, on topics like public speaking, leadership values and self-care.